Viewing MoomaDaze's profile pics of all the boats he's owned got me curious on how many boats everyone has owned in their lifetime. Ok , I 'll bite. 1969 15' corsair , 70 hp well used outboard. Re painted it, did the back to back seats my self, new speedo and tach. ended up selling it to start a family. 1989 21' Rinker cuddy cabin. Had it 7 years and enjoyed it well . Kids were little and it worked well for them and us of course . 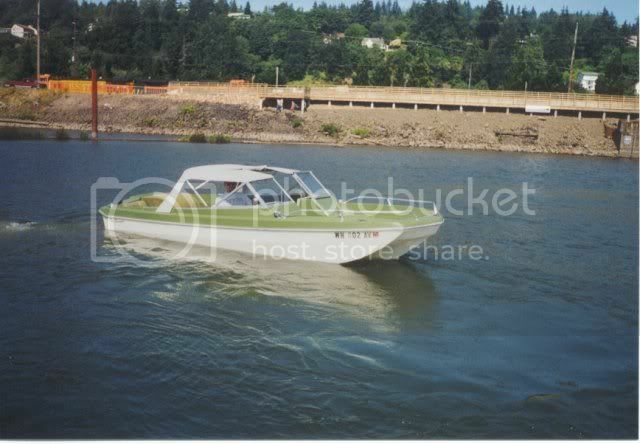 1997 21' Rinker open bow. bought it new , had it 10 years , installed a tower and full vinyl enclosure for camping. It just needed a perfect pass to complete the boat. Sold it in a week in the winter !! 2005 Moomba Mobius lsv. Bought it lightly used, have used it alot of course. Love to surf and wakeboard with it. Used it 2 years before installing a perfect pass , best thing I have ever installed in a boat in all these years. I don't think I will ever go back to a i/o unless it is a huge cruiser to sleep in . 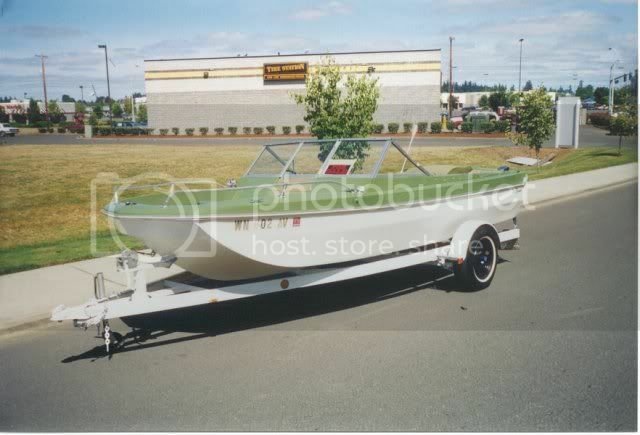 05 Mobius lsv , ballast system , stereo, etc..
Just the boat I sold last winter to buy my Moomba, my '89 SeaSwirl Spyder. Owned it for 15 years! Great boat. um, those werent the only ones. 1986 Glassport 165RX - it was 16.5 feet long, inboard/outboard, with an OMC Cobra outdrive that gave me problems CONSTANTLY, floors that were starting to give out, a big dent in the side where I hit a buoy at night, and half the gauges didn't work. With that said, I bought it in college as a repo for $1,000, built the tower for it myself, and never in my life have I had more fun on a boat. Some of my best memories ever were made on that boat, including when it'd break down at night. I had it for 4 years and sold it for $200 more than I paid for it and still wish I never got rid of it. In '08 I bought my '05 Supra Launch 24SSV and she's a great boat and we've already made some great memories. Really old 12' aluminum skiff with a newer 15HP Johnson OB. Hey, we kneeboarded and could even ski behind it when we were younger but it took a half mile to finally get up and you couldn't cut at all without bringing the boat to a screaching halt! 1969 Tom Sawyer tri-hull with a mercruiser 120hp i/o. Ugly duckling for sure and not much of a 'chick magnet' but we ran the crap out of it. Years later I actually retrofitted in a late 90's remanufactured 140hp 4-cyl after cracking the block on the poor old thing. When i was a kid we had a 70 Cimmiron tri hull with a 50 Johnson on the back. Sometimes it would run sometimes it wouldn't. Man we had a great time on that boat. Learned to kneeboard behind it. 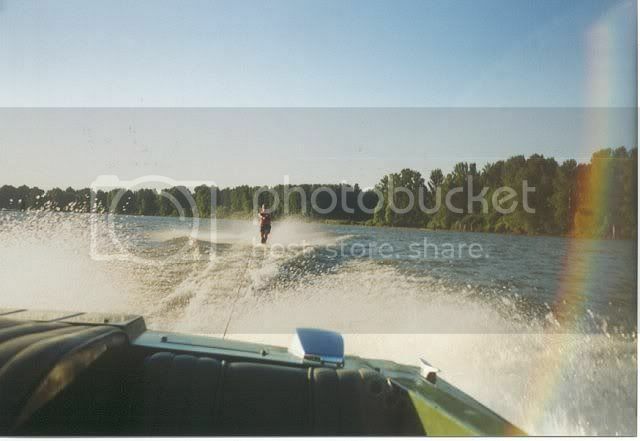 Once we learned to kneeboard we used to cut really hard and yank the back end of the boat sideways. The prop would cavitate and my dad's mouth would cavitate at us when we done it. Have lots and lots of memories in that boat. Should of never got rid of it. 1979 Silverline 18.5 footer with a 175 merc. We got it just as i was turning 16 and my bro and i never failed to put less than 100 hours on it for the 10 years we had it. It finally put a con rod through the block. Then i had nothing until 2006 when my wife and i bought a Bayliner 185 with a 190hp merc. then last summer we sold it to buy our 05 LSV. the next step will be to either a supra or an Axis.... but that won't be for a while. 2014 Mondo with da flow!!! Exile towers, stock everything else.... for now!